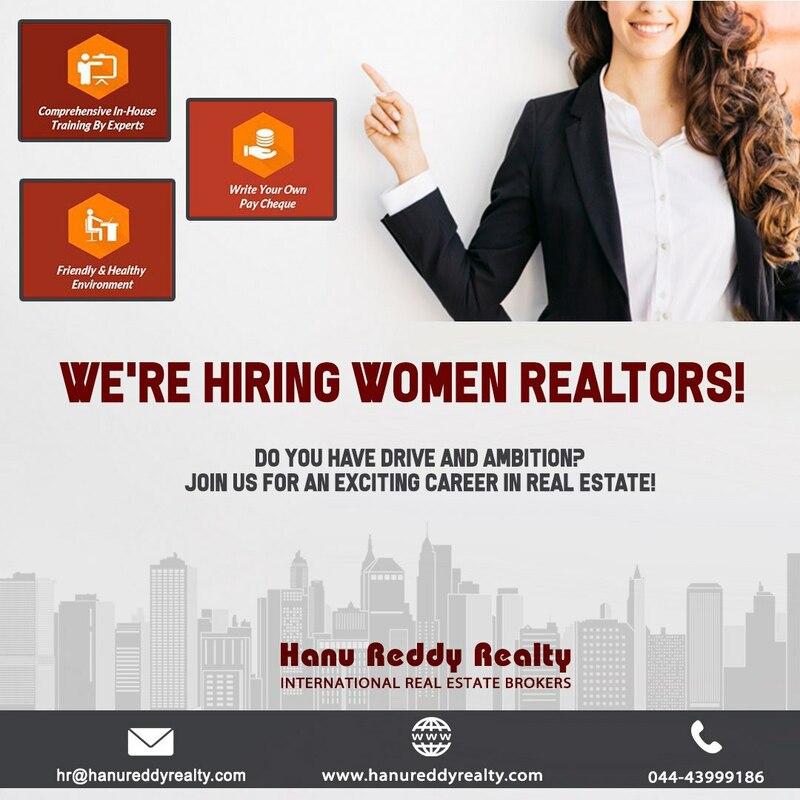 Why Women are apt for Realtor Position? Real Estate is a stable profession and it offers with flexible timings for women as they can work from Home and at Office. Women bring a sense of authenticity to residential sales and are able to relate better to homes. 50% of Real Estate buyers are Women and Women are decision makers for buying properties in most transactions. Lady Realtors can understand the psychology of women better to sell Real Estate. Real Estate is a good profession where you can take care of your family and Work based on the nature of Business. Women make good networking with fellow Realtors to conclude deals faster. Women understand the dynamics of the home better. So women are very apt for doing Residential Real Estate. We are inviting applications for the position of Front Office Executive for our Adyar Branch Office in Chennai. Candidates from Chennai residing in and around Adyar Preferred. Any Graduate with 1-3 years of Experience preferred. Fresher’s can also apply. Assist and support administrative staff in their day-to-day operations. 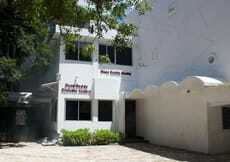 Assist front office in preparing, scheduling and organizing meetings, events, and appointments. Follow up with reporting and send reminders. Should be Tech Savy and assertive in solving queries. Serve customers by determining requirements and answering inquiries. Must show the willingness to learn new things. Excellent written and oral communication skills with a flair to understand US accent. Familiarity with Microsoft Office and G Suite. Experience: 1-3 Years Preferably from a BPO, Graduates Preferred. Note: Openings are available across all the cities where we have presence viz. 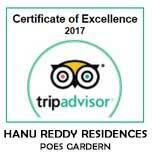 Chennai, Bengaluru, Hyderabad, Pune, Coimbatore, Mysuru and Vizag. Real Estate is one of the fastest growing sectors in India and contributes about 6% of the Gross Domestic Product (GDP). 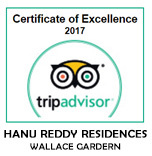 Hanu Reddy Realty is one of India's top Professional International Real Estate Brokerage Services company comprising a team of nearly 250 Realtors! As part of our rapid expansion plans across all the 7 cities we have offices in, we are looking for smart, dynamic and committed young men and women to be part of our vibrant team of Realtors. If you are passionate about Real Estate in the city where you reside, this could be a great opportunity to pursue, especially in these times. If you are looking for a full-time opening and satisfy the following basic criteria, you are the new team member we are looking for. Age between 25 and 40 years. Willing to work for a Commission structure that provides unlimited earning potential. Own 2 or 4 wheeler for conveyance. Native of the city for 5 to 10 years. Good skills to communicate, present and negotiate effectively. 2 to 5 years' experience in Real Estate or BFSI Sector will be an advantage. but satisfy the other criteria mentioned above,will also be considered. Basic knowledge to work on computer and the internet preferred. Sounds interesting? Please fill up the form below, attach your updated Resume and select the city/branch of your choice and we shall get in touch with you on priority. Source new sales opportunities through LinkedIn and outbound cold calls, emails. Maintain and expand the database of prospects within the assigned territory. Coordinate with the sales team by managing schedules, filing important documents and communicating relevant information. Diligent follow-ups with inbound leads supported by subsequent email communications. Route qualified leads to outside sales team by initiating appointments. Have a strong eye for research and be able to scout for new prospects, identify the key players in the industry and gather interest. Knowledge of lead generation, nurturing and converting a potential lead to appointments. Excellent understanding and usage of LinkedIn ProFinder. Any Graduate with 1-3 years of Experience.